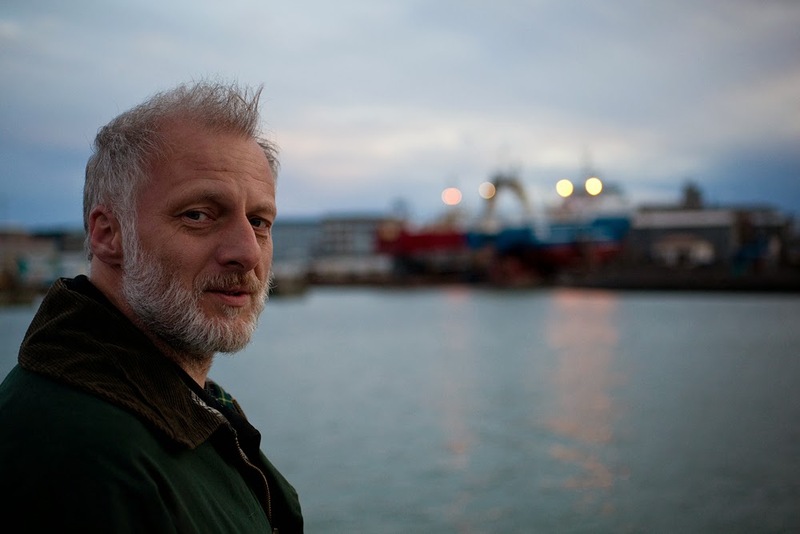 Quentin Bates went native in Iceland for ten years before returning to live in England. He drew heavily on his intimate experience of life there to write his debut novel Frozen Out, published by Constable & Robinson. He is also the author of Cold Comfort, Chilled to the Bone and the novella Winterlude. 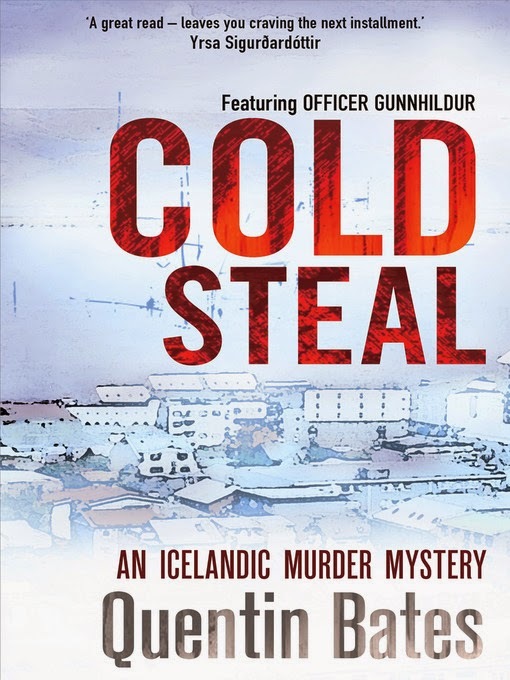 The latest book in the series is Cold Steal has recently been released as an e-Book only. It’s hard to tell where the spark that sets a book off comes from. Sometimes it’s an incident, or else it can be a place that’s too good to be resisted as a location. This time it was a couple of characters and an idle hour that set the imagination running. Cold Steal started life at a provincial airport with an hour or two to kill in a half-empty departure lounge before a flight to a fairly dull trade show. There they were, three characters who just emerged from the background. One was in chef’s whites; one serving tables and the third was deep in a Cyrillic newspaper while a cup of coffee cooled on the table in front of her. The three running the place had different flags on their badges – all from different parts of the world, all three doing long hours for minimum wage and none of them looked too happy. Having been an expat and a minimum wage dogsbody myself a long time ago, I have a great deal of sympathy for and interest in how people cope in a culture that’s not their own. Things have changed since I lived in Iceland and foreigners were something of a rarity. Now it’s much like the rest of Europe with a significant immigrant population, much of it doing the invisible grunt work that most people prefer to avoid, stacking shelves, delivering parcels, serving coffees and sandwiches, cleaning offices after the staff have gone home and all the other work that people see being done every day but don’t give a second glance to. I had to invent the backgrounds of the three women from scratch, but the restaurant trio were too interesting a proposition not to use. So the Reindeer Cleaners came to life, and combined with some ideas I had picked up on housebreaking from another (don’t ask…) source, Orri the Burglar also popped up as part of the cast. around Orri the Burglar. Iceland has gone from being practically crime-free a few decades ago – and in some parts of Iceland you can still leave the keys in your car overnight – to having much the same rate of crime as anywhere else, especially with the rise of acquisitive crime. So Orri’s activities became fascinating, not least when he breaks into the wrong house one dark night and finds himself facing far more than the swift exit with a few purloined goodies he had expected. It’s almost a variation on the theme of people displaced to a culture other than their own, pushing characters into doing things that don’t come naturally to them. In the burglar’s case, blackmailed into doing someone else’s dirty work and finding himself neck-deep in trouble. It’s one of the facets of crime fiction that for me makes writing the bad guys at least as interesting as the sleuths and often more so. Lifting relatively ordinary people from their comfort zones to do bad things or dropping them in deep trouble that calls for desperate measures is always a challenge to be relished, such as the awkward city gent who finds himself abducted and left to die in a remote place in the highlands of Iceland with little chance of being found or rescued. Does he survive without a taxi rank or a Starbucks in sight and no idea where he is? I’m not saying, but both options were tempting and it wasn’t until the last moment that I decided just what to do with the poor man. You can find out more about Quentin Bates on his website or you can also read his blog. He can also be found on Twitter and on Facebook.